Acne is the general term for inflamed and pustular skin (pimples) normally found on the face but can be seen on the body also. Acne appears on oily, dry and reactive skin types and is predominantly sourced back to internal body imbalance. The best clinical or salon acne treatments are the ones that create balance and comfort within the skin. Commitment to in clinic treatments courses, a healthy diet, daily skincare routines and patience is required to reach clear, healthy skin. * Our Skin Health Practitioners will help you plan a skin clearing routine and internal digestive balance program. Avoid back acne with a regular back extraction facial. A synergistic blend of Salicylic Acid and Amazonian botanicals to not only dry out & heal current breakouts but balance oil production, sooth and calm inflamed skin and reduce acne scars. * The gentle version of a Jessner Peel. 2 weeks without long term unprotected sun exposure and laser patch testing is required prior to treatment. A course of 6 treatments is best for results. There are various reasons for the appearance of acne. Hormonal shifts in adolescence and adults will cause an imbalance in the production of sebum or oil in the skin. If there is an over production of oil the pores can become clogged and the bacteria that lives in the pores will start to thrive causes the skin to fight the bacteria. This is when acne or pustular pimples with appear. Insufficient diet & poor hygiene will also contribute to acne. In order to reduce and eliminate acne you will need to be patient, consistent and persistent in your approach. Your Para-Medical Aesthetician, Skin Therapist or Dermal Therapist will map out a treatment plan for you with both in clinic and homecare designed to correct the oil flow, heal the damage, clear the current breakouts and restore the skins balance. Stick to the treatment plan religiously. This is very important as you will not get the results you desire if you do not follow the plan. Are laser treatments best for Acne Removal? Laser and light therapy treatments are ideal for treating Acne. When used in conjunction for acne peels and microdermabrasion the laser treatments will speed up the results. Having a consultation with our directing Para-Medical Aesthetician Maree Andersen will put you on the right track to treat your specific type of acne. Maree will discuss nutrition, skincare and the required in clinic treatment plan to help you on your way to clear, healthy skin. Can I have Acne Facials whilst on antibiotics or Roacutane? Antibiotics, in general, will make your skin photo sensitive so you will not be able to have laser or light therapy whilst on the medication. Roacutane will dry out your skins oil flow to the point of barrier impairment. This means your skin will be too irritated and fragile to have any exfoliating scrubs or peels. We do perform a Roacutane Relief treatment that only uses Roacutane friendly skincare products. This will help reduce the skins irritation levels so it feels a little more comfortable. 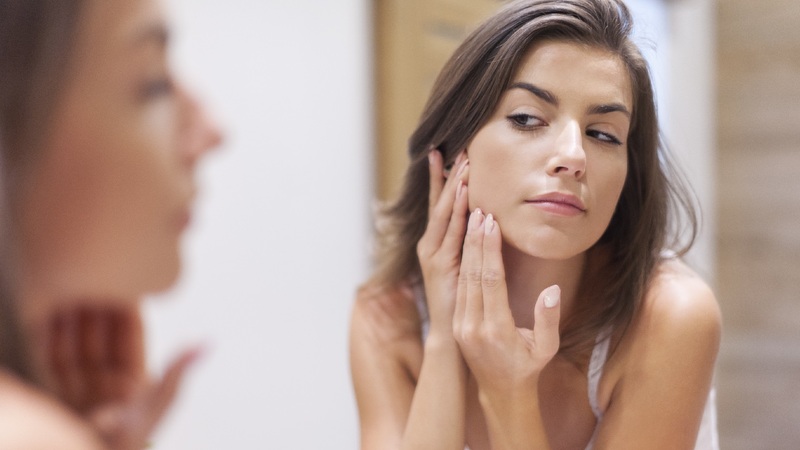 Is it ok to squeeze my pimples? As irresistable as it might be, squeezing your pimples will only cause more infection & ultimately leave scarring. It is best to book in for a Steam & Squeeze treatment with one of our skin therapists if you really need to remove unsightly pimples quickly without damage.